LAKE COUNTRY, BC – Creekside Theatre is thrilled to host vocal virtuoso, beatboxer, and musical storyteller: Martin O, on Saturday, November 17th at 7:30 pm. 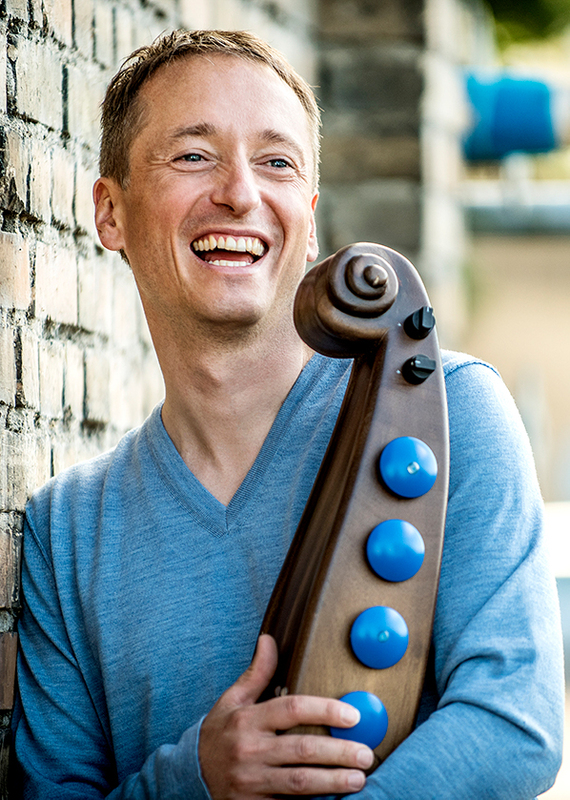 Martin O, born Martin Ulrich, is an international acclaimed musician based out of Switzerland. His fascination and skills with manipulating sound began at a young age that his parents fostered and helped develop. Beginning with musical lessons including violin, Martin began experimenting with sound and harmony. After a brief professional stint as a primary teacher, following graduation, he dove into his music once again, as a member of a successful acapella group “hop o’my’thumb”, wrote music for International films, served as the artistic director for the Hitzigen Appenzell Choir, and immersed himself in countless musical projects. As a member of the acapella group, he spent several years on stage at home and abroad until 2006 when the group decided to part ways over creative differences. It was following the group’s break up that Martin was inspired to move forward with his one-man show: Martin O. With the founding of Stimmart GmbH in 2007, Martin O was born. Since 2016, the million-voice man has been on the road with his third stage program “Der MaUSIKER”. Accompanied by his symphony (aka a loop device), Martin O. is able to create and recreate musical landscapes by repeatedly recording and playing his own voice, polyphonic soundscapes and songs —including original compositions and hits of various styles and eras. He performs in German, French and English. Close your eyes and you hear a whole choir. Open them and all you see is one man on the stage. A captivating, charismatic performer, Martin O. pushes the boundaries of sonic possibility, leaving audiences breathless with all their senses and emotions brought to life. Combined with a humorous art of storytelling and showmanship, Martin O’s act is one not to be missed. Also featured on Saturday night, opening for Martin are two competition-level acapella groups from the local UBCO Beats music club. Focusing on A Cappella singing, bringing musical awareness to the community and uniting talents through performance, the UBCO Beats will be showcasing two of their top singing teams to kick off the night. Treat your ears to a fascinating exploration of sound with local acapella, and unique musical stylings of Martin O this Saturday night in Lake Country. Tickets can be purchased online at www.creeksidetheatre.com, by phone at 250-766-9309 or at the door.